River Cottage is a unique property just one mile from the village of Drumnadrochit which is situated on the northern side of Loch Ness. 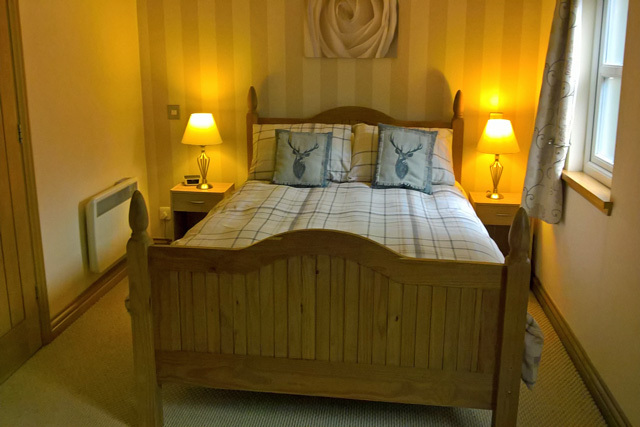 The property has been tastefully furnished, all the facilities are on the one level and comprise of an open plan lounge/dining and kitchen area, a spacious bedroom and a separate shower room. Outside a covered decked area is an ideal place to sit and relax and enjoy the sound of the river below. 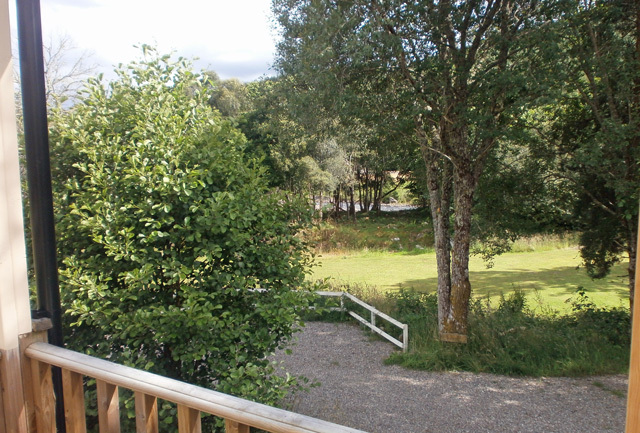 The property sits in half an acre of garden ground which leads down to the river bank, where a seating and barbeque area are located, an excellent spot for some fishing. The property would make a perfect retreat for a couple. The village of Drumnadrochit is the home of the Official Loch Ness Monster Exhibition, from here you can find about the history of the legendary “nessie” the monster that has gripped the local people and visiting tourists since being brought to the attention of the world in the early 1930s. Despite many apparent sightings and underwater searches, there has never been any evidence found to support the existence of this legendary creature. Perhaps you will be luckier and the many tours around the Loch either by boat or by coach will give you the chance to do some of your own spotting. 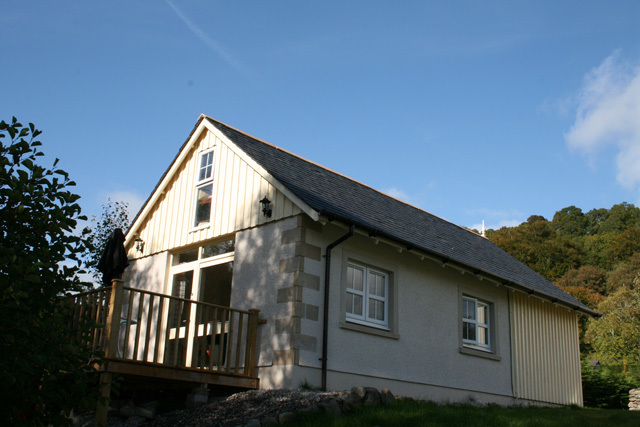 Within 30 minutes drive of the property you will find Glen Affric, a National Nature Reserve, together with the other Glens of Cannich and Strathfarrar. These glens offer some of the most spectacular walking in Scotland and the numerous forest tracks are ideal for exploring by the mountain bike enthusiast. The wildlife in this area is quite magnificent, red deer, golden eagles, badgers and pine martins to name a few. For the golfer in the family the nearby course at Aigas is a short drive away, further a-field the courses at Muir of Ord, and the various ones in the City of Inverness, are all worth a visit. Drumnadrochit itself offers various restaurants, small shops, and pubs, for the visitor. Inverness the Capital of the Highlands, a twenty minute drive from the property, has all the usual high street shops and a great range of restaurants, traditional pubs, and wine bars. A tour round the City by bus gives the visitor the chance to find out about the area and includes a stop at Culloden Battlefield, it was here in 1746 that the last major pitched battle was fought on British soil. Its visitor centre is home to a wide selection of authentic weapons and artefacts that were found on the battlefield, a must see for those interested in history. Lounge area, sofa, TV with freeview, electric fire, DVD, CD & Radio, selection of DVD's, books and maps. Kitchen area, gas hob and electric oven, microwave, fridge with freezer compartment, and all the usual cooking utensils including a slow cooker, sorry no washing machine. Dining area with table and chairs for four. 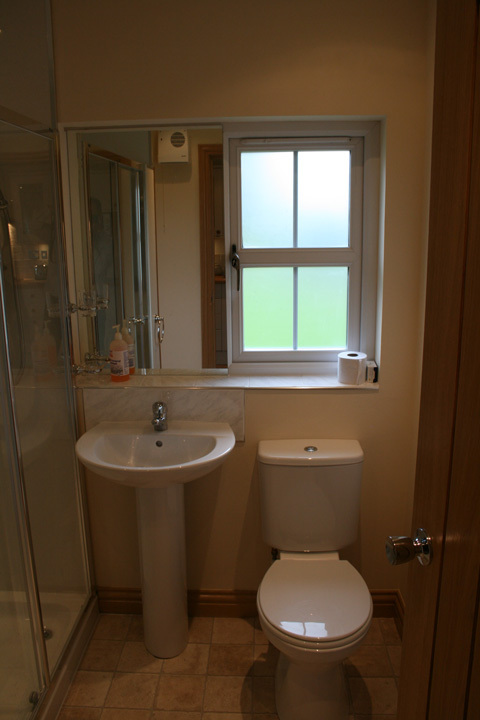 Shower room, large power shower with seat, wc and whb. Bedroom with king size bed. Hairdryer provided. Covered decked front seating area with table and chairs, barbecue provided. Storage area available for bikes, etc. Outdoor drying area and ironing facilities provided. Tesco Home Delivery Service available at this property - owner will unpack if pre- arranged. The property is suitable for only one pet. The entrance and decking area are enclosed, but please note that the area surrounding the property is open, with the River Enrick running at the bottom of the garden. Parents with children should be cautious. Close to the village of Drumnadrochit. Great location for touring Loch Ness and the Highlands of Scotland. 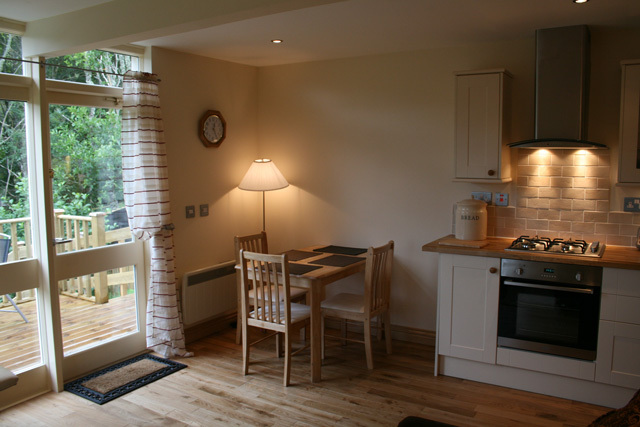 Lovely well-equipped cottage we have visited several times. Great location and great for dogs. 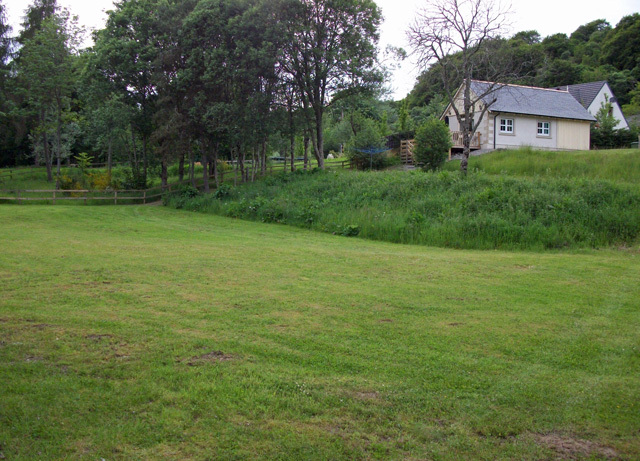 Large garden area for both dogs and owners to explore! 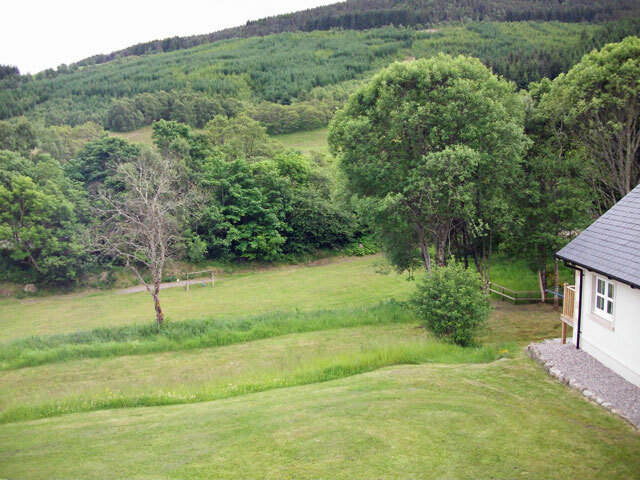 We don't mind intermittent wi-fi - this is the beautiful Scottish wilderness after all, which is why we visit! Thank you for your review, since the date you stayed, the wifi at the property has been upgraded and good wifi is now available. Once more an enjoyable holiday no thanks to the weather which was rather inclement but then this is Scotland. The cottage was as comfortable as ever. Wifi if you can't do without it, was rather intermittent but not the end of the world. Thank you fro your review, since your stay the wifi has een upgraded and good wifi is now available. We stayed at River Cottage for a week and thought it was the perfect base for us to explore places in the Highlands of Scotland. 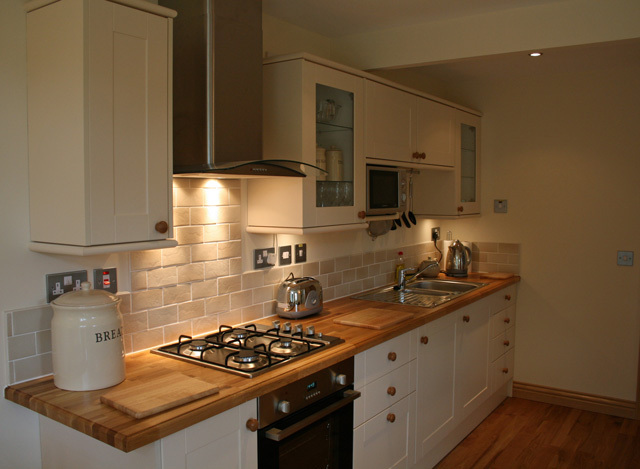 We could not have asked for more - location, comfort, warmth, amenities, facilities - all perfect. 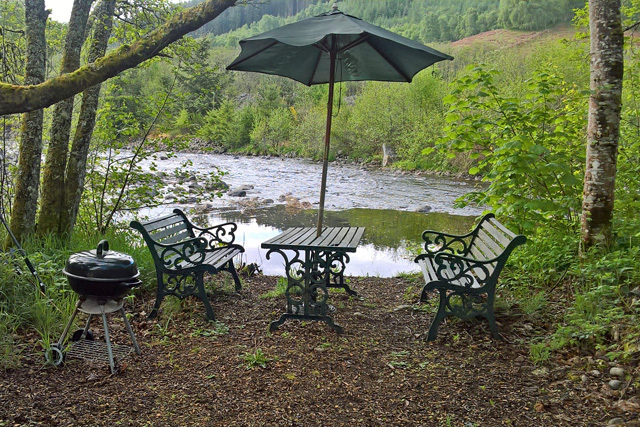 River Cottage was a great place to stay, easy walk into Drumnadrochit, and easy access to both Glen Affric which is stunning and not far from Inverness and access to the Black Isle. The owners were very helpful and made me feel very welcome. It is in the lovely location and the dog loved the river being so close too.